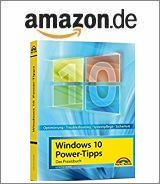 [German]Microsoft has released further updates for Flash, Internet Explorer, Windows Server, etc. on December 12, 2017. Here are some details about selected patches. Microsoft has released several security updates for Office, IE and .NET on April 11, 2017. Here are a short overview about those updates. Microsoft is planning to release cumulative updates for Windows 7 SP1 and Windows 8.1 from October 2016. But those updates won’t include fixes for Internet Explorer. Microsoft has released updated virtual machine images containing a preview of EdgeHTML 14. These virtual machines targeting web developers who are interested to test websites in different browsers.